The summer months are when you’ll be enjoying your yard the most, and if it doesn’t look up to your standards, it might be difficult to enjoy it. Follow these top 10 yard care tips to keep your yard and landscaping looking fresh throughout the summer. 1. Water deeply: About 1 to 1.5 inches each time you water your lawn is sufficient, and will give your grass the sustenance it needs to grow deep, healthy roots. 2. Water infrequently: To conserve water, it’s important that you only water your lawn when it needs it. This is going to depend significantly on the climate you live in, but a few signs that you need to water are a bluish-green tint to the grass and footprints lasting longer normal in the grass. 3. Water early in the morning: By watering in the early morning between 4 and 9 a.m., you’re giving the soil a chance to absorb the water before it evaporates. This increases with wind as well. 4. Keep your grass 3 inches or higher: The summer heat will take a toll on short lawns. Setting your mower to cut your grass 3 inches or higher gives protection to the roots and allows them to grow deeply. 5. 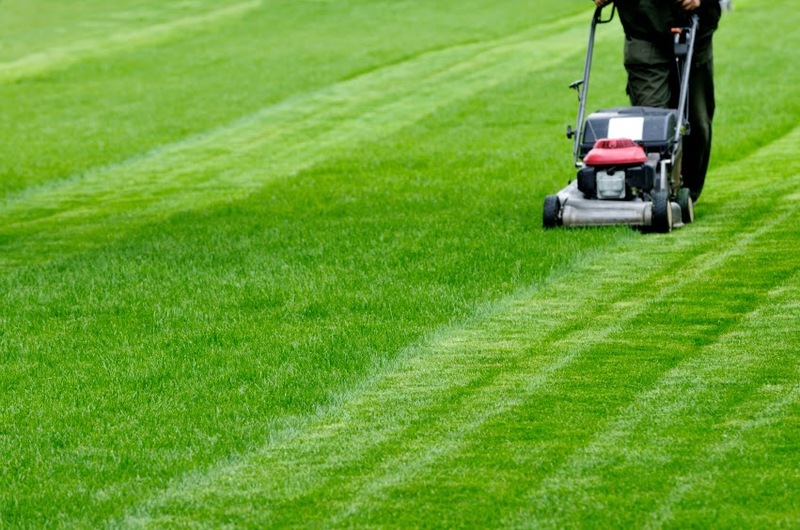 Mow your lawn often: Mowing often will ensure that your lawn doesn’t get too long and gives shorter blades room to grow. 6. Look out for pests: If your lawn or landscaping isn’t growing properly, make sure that you don’t have a pest problem. 7. Use mulch in your landscaping: Mulching around your landscaping will help the underlying soil retain water and will protect the roots of your trees, shrubs, and flowers from hot and cold weather. 8. Only mulch up to 4 inches: Four inches is fairly thick for mulching, and you will generally only need about a 1 to 2 inch layer. Layering mulch thicker than 4 inches can restrict oxygen to the plant roots and should be avoided. 9. Address weeds in late April and May: Weeds can be removed by hand from your landscaping, but for weeds throughout your lawn, you should apply herbicide only during late April and May. Applying herbicide in the summer can damage your entire lawn due to heat. 10. Use all of the above tips to prevent weeds: A healthy lawn is the best way to prevent weeds. A thick, lush lawn and properly mulched landscaping will make it difficult for weeds to germinate. Do you have any other summer lawn and landscaping tips? Leave us your thoughts in the comments! Get your lawn mower in working order with small engine parts from HLSProParts.com. From carburetors to pistons to oil, HLS has the parts and supplies you need.